Cute Peacock Feather Badge. 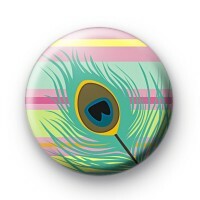 A cute peacock button badge with a pink, green and yellow background ideal for all of you nature lovers. A really sweet 25mm button badge.